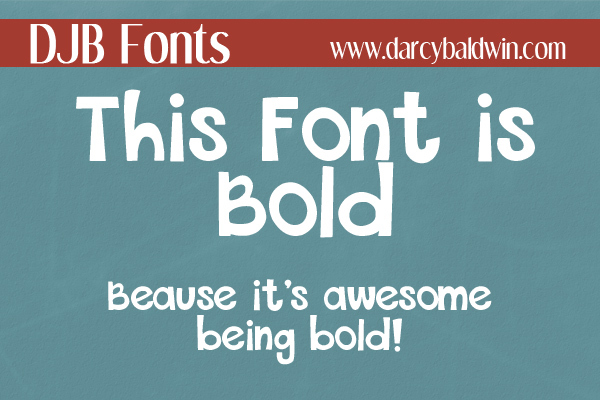 DJB This Font is Bold – This font is free for personal use (not-for-profit). If you have a question about what constitutes personal use, check out this info or contact me with questions. If you would like to use this for your commercial/professional ventures, please purchase a commercial use license here. For your records, be sure to include the name of the font you are purchasing the license for. You can also purchase it here.